Acts as energy booster. 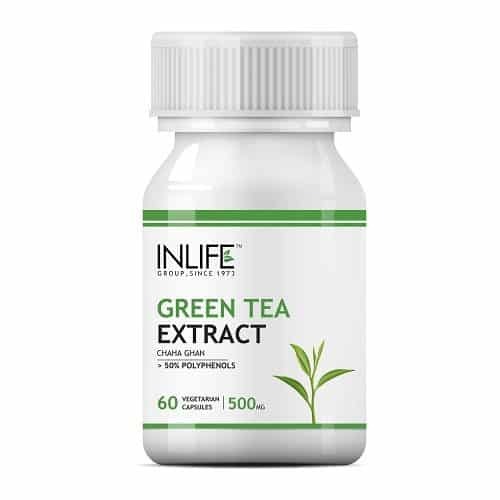 Promotes healthy digestion. Memory & concentration build up. Body balancer. Effective antioxidant. 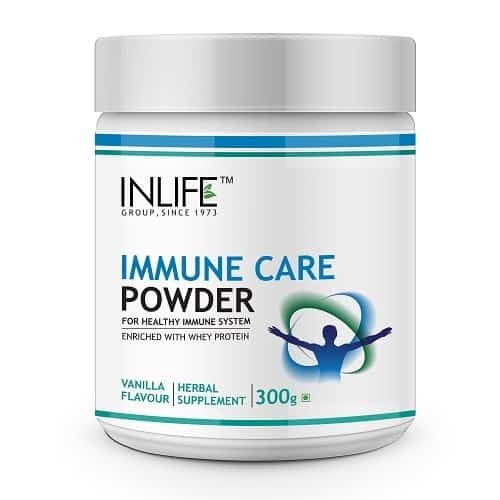 Builds natural immunity. 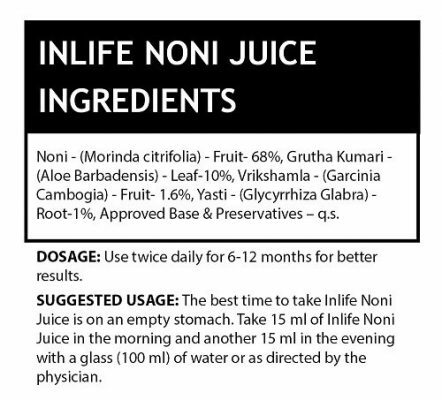 INLIFE NONI Juice is a herbal supplement which is derived from the fruit of Noni ( Morinda citrifolia ) Indian Mulberry and also has the added advantages of other wonderful ingredients such as vrikshamla ( Garcinia Cambogia ) and Yasti ( Glycyrhiza Glabra). 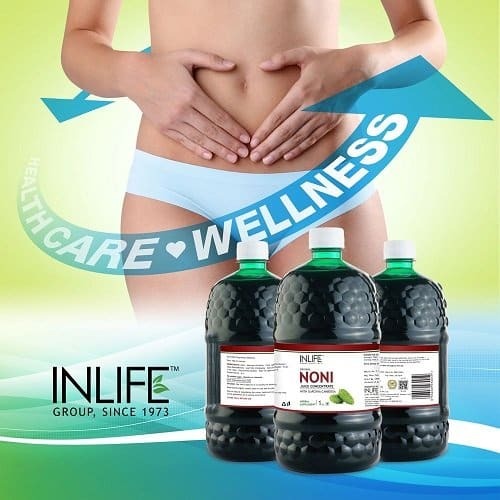 INLIFE Noni Juice is rich in vitamin A, B, C and minerals like calcium, potassium, iron, phosphorus that is helpful in maintaining proper functions of the body systems. 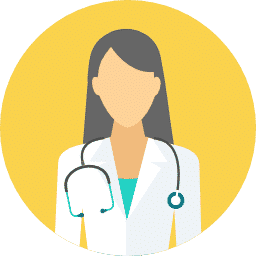 Noni has effectively helped thousands of people recovering from their diseases as it goes well with the treatment & medication. 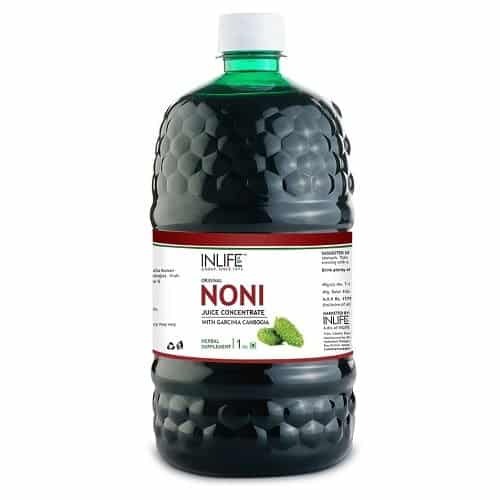 Noni Juice offers an impressive amount of healthful vitamins, minerals and other phytonutrients to people looking for good health & well-being. 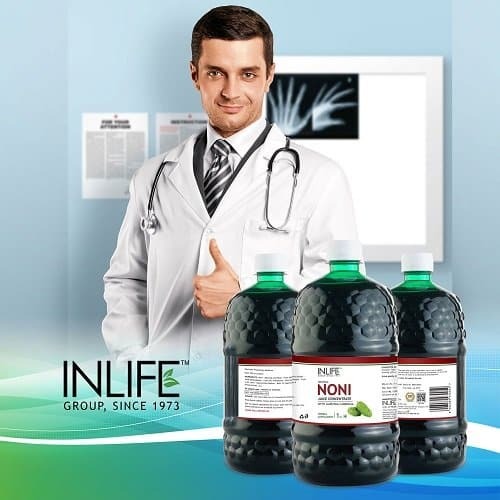 INLIFE Noni Juice Concentrate will help you remain healthy, vibrant and provide balanced immune system that improves, maintains and prolongs your health than anything else in your physical body. 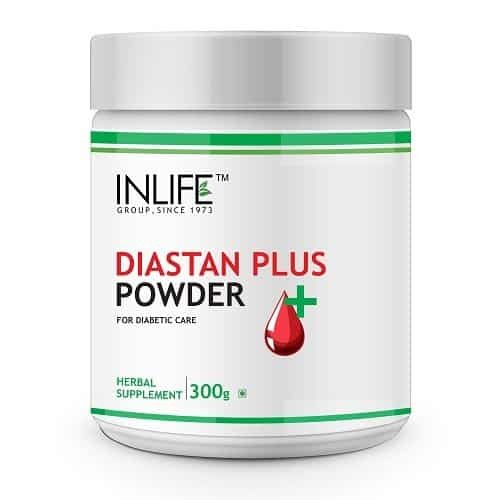 Dosage – Use twice daily for 6-12 months as a Dietary Supplement or as directed by a healthcare professional. Suggested Usage – The best time to take INLIFE Noni Juice Concentrate is on empty stomach. 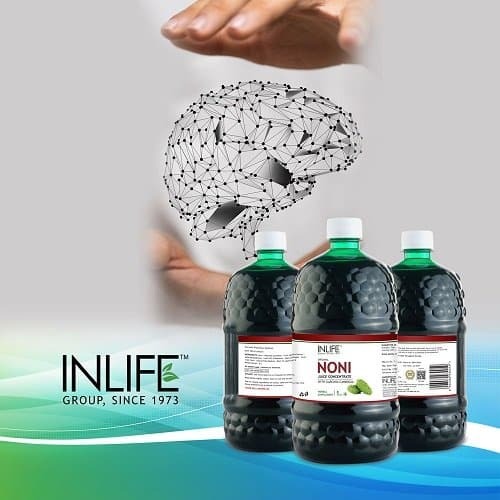 Take 15ml of INLIFE Noni Juice in the morning and another 15ml in the evening with a glass (100ml) of water or as directed by your physician. 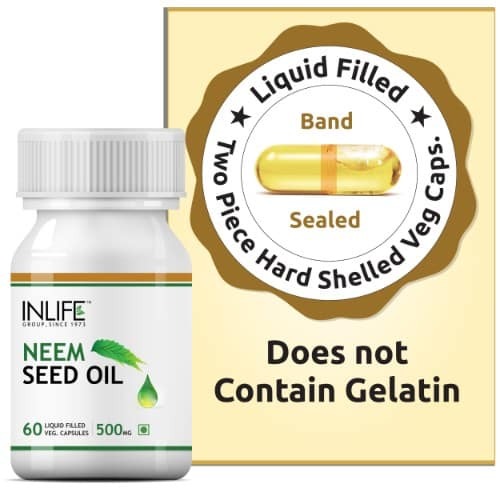 Warning / Contraindication – Consult your health care professional if you are pregnant, nursing, taking medication or have a medical condition, before using this product. Note – Keep bottle tightly closed, store in cool and dry place. 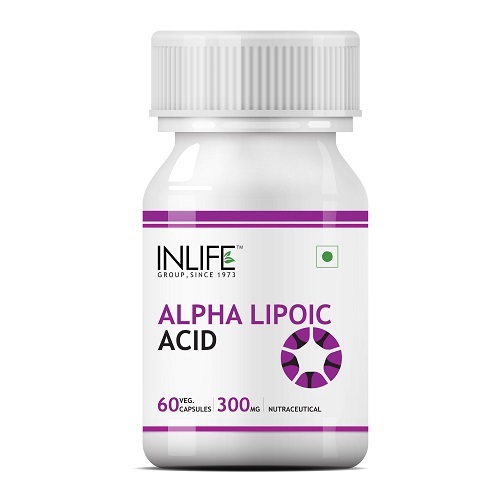 it helped me to fight free radicals and preserve skin elasticity and reverse the adverse effects of ageing. It helped me to manage stress and reduced the impact of stress on cognitive function. 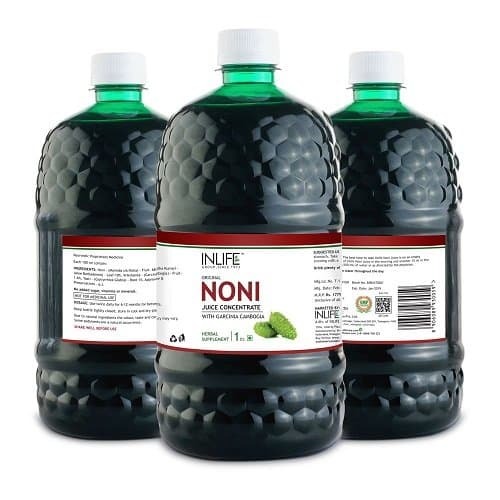 Noni juice has antiviral properties and helps to get rid of cough, fever and body ache. Noni has shown immune-stimulating and tumor-fighting properties. 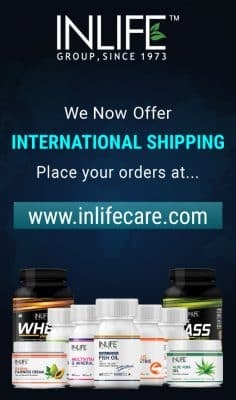 It helps me to combats Inflammation and Boosts Immunity. 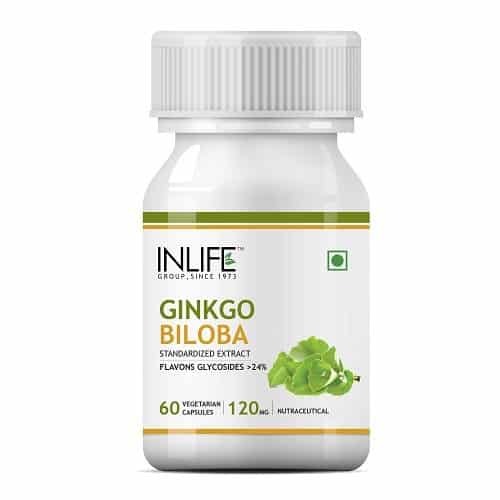 Its good,also its helpful beacuse my mother have always keen pain problem but after having this supplement almost gone. this has typical smell of noni but i had found benefits as it helped in improving my digestive system. would recommend this. i really like the price and the taste is not too bad – acceptable product with so many benefits. 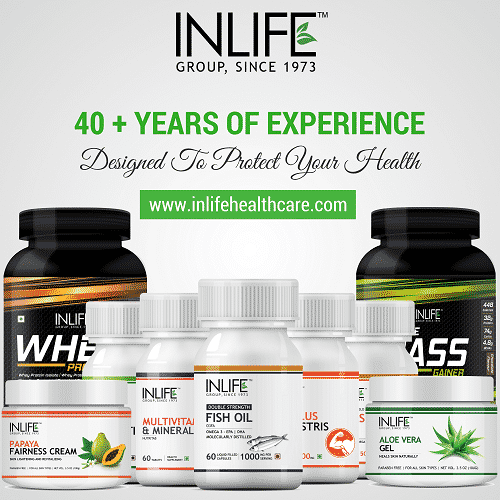 INLIFE is a very good brand having many awesome supplements. i will go for this every time i have to order any product. i feel like i have more energy since taking this juice. the price is also reasonable. 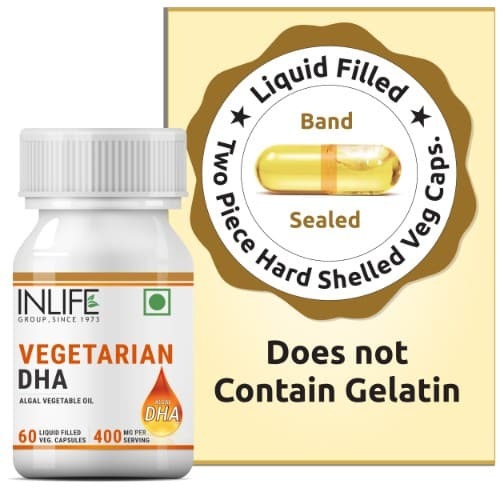 i like this very much as it improves overall strength and relieves from cold and flu. 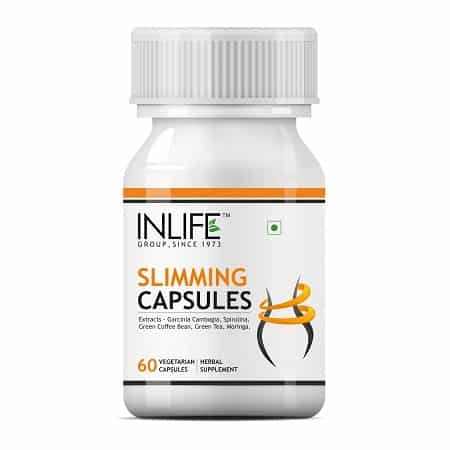 this is very good low cost and healthy for body. i drink it everyday. 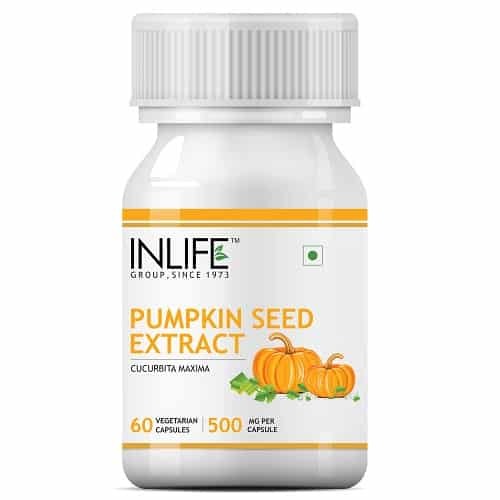 very good product and fantastic price which gives better skin and much more energy.